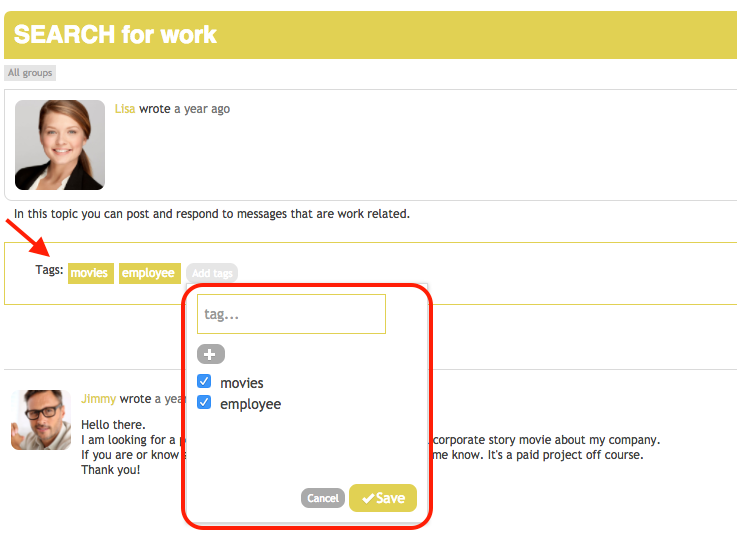 Community Managers can apply Tags to Forum, Challenge, Journal, and Stepboard posts and comments. Click on either the “tag” or “screw” icon to add a tag, shown in the image below. Enter a tag in the box, click the +, and save. You will also be able to see any other associated tags. Although the tags are not searchable, or clickable – they are contained in Platform Content Exports. Tags can only be added and viewed by Community Managers. Check out our blog post on tips to invite people to join your community platform!